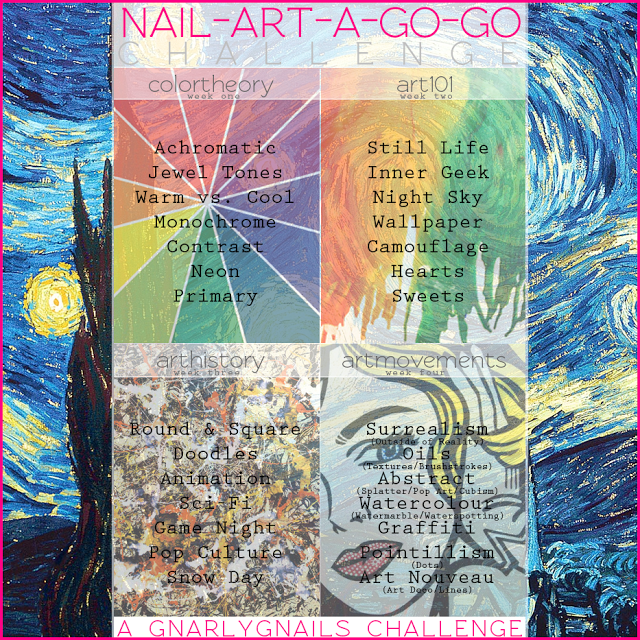 It’s day 11 of the Nail Art A-Go-Go challenge hosted by Gnarly Gnails and today’s theme is wallpaper. 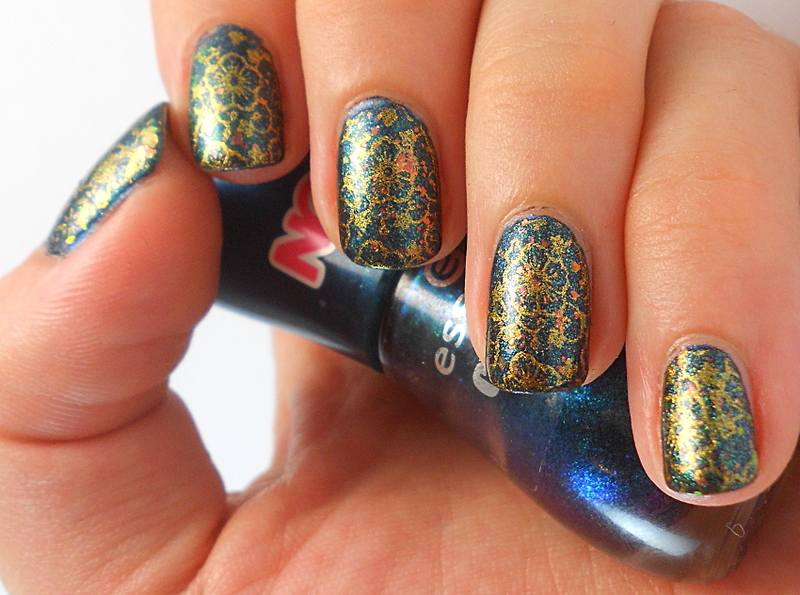 Today’s nails came out a little different than I originally pictured them, but they’re still wallpapery enough. 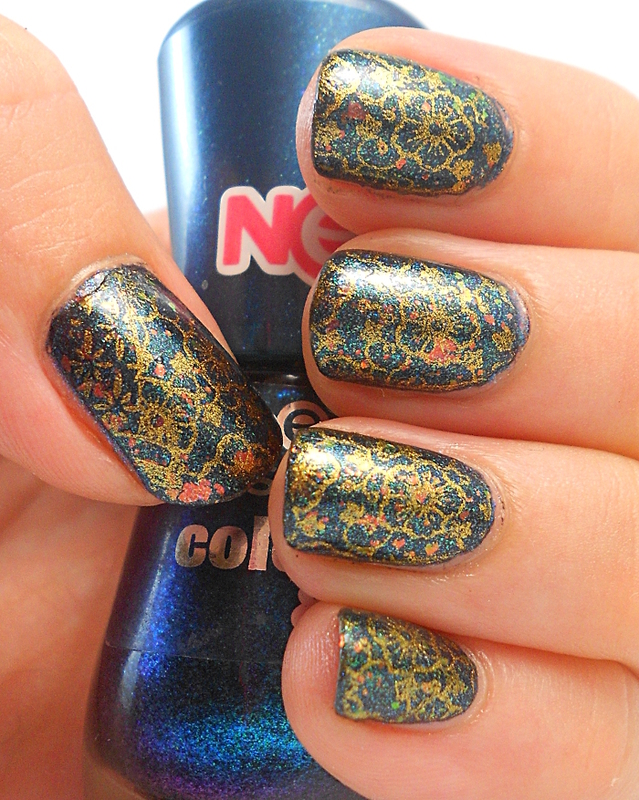 I started off with 2 coats of Essence Colour & Go Miss Universe and then added a coat of LA girl Rock Star in Crowd Surfing. 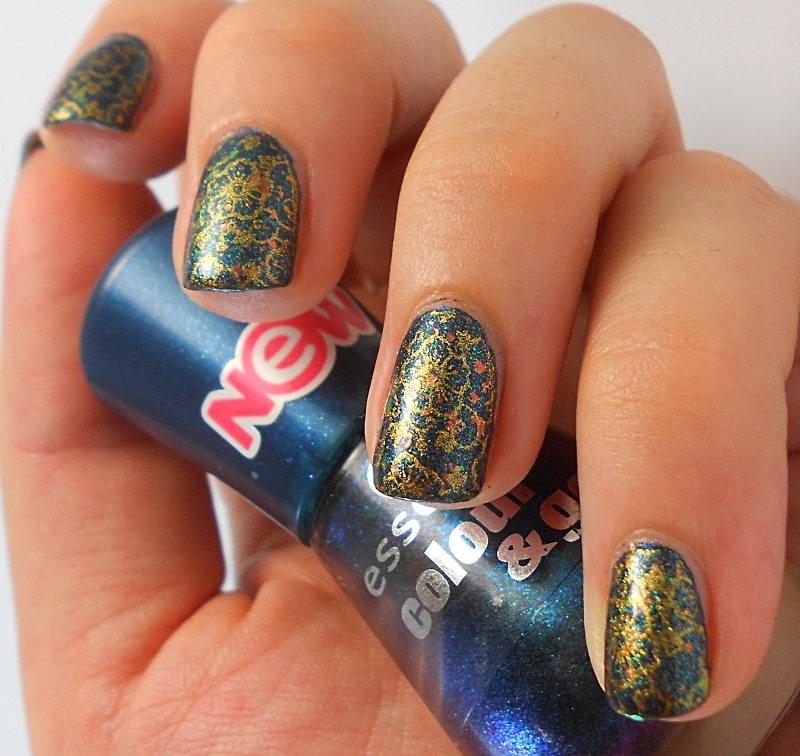 Crowd surfing is a flakie topper in a green tinted base, which turned the base colour from deep blue into more of a deep green-blue. 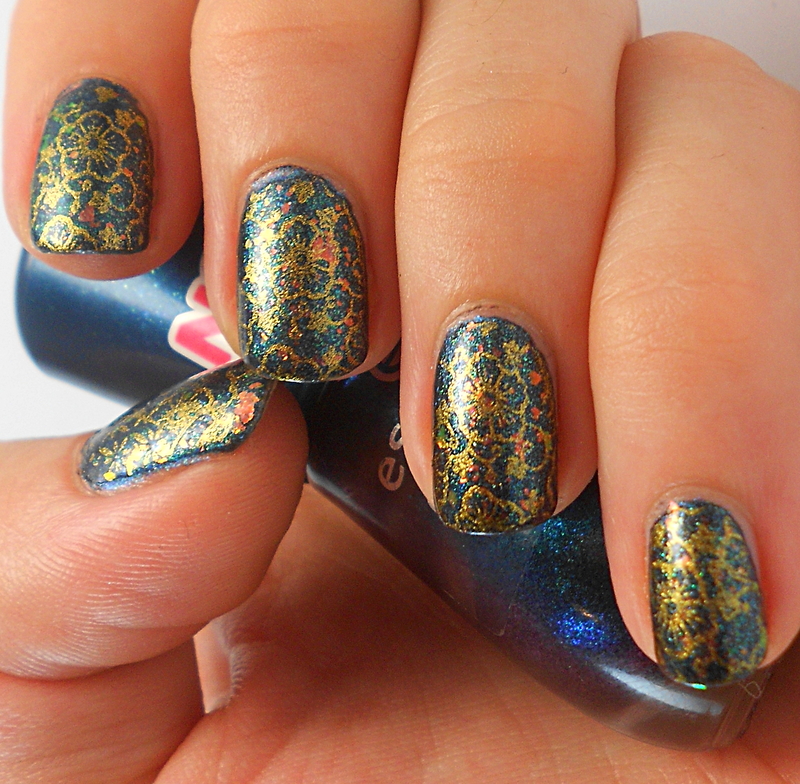 I stamped using Tip Top Nail Chic Gold Digger and plate 07 from the Moyou Suki Collection. 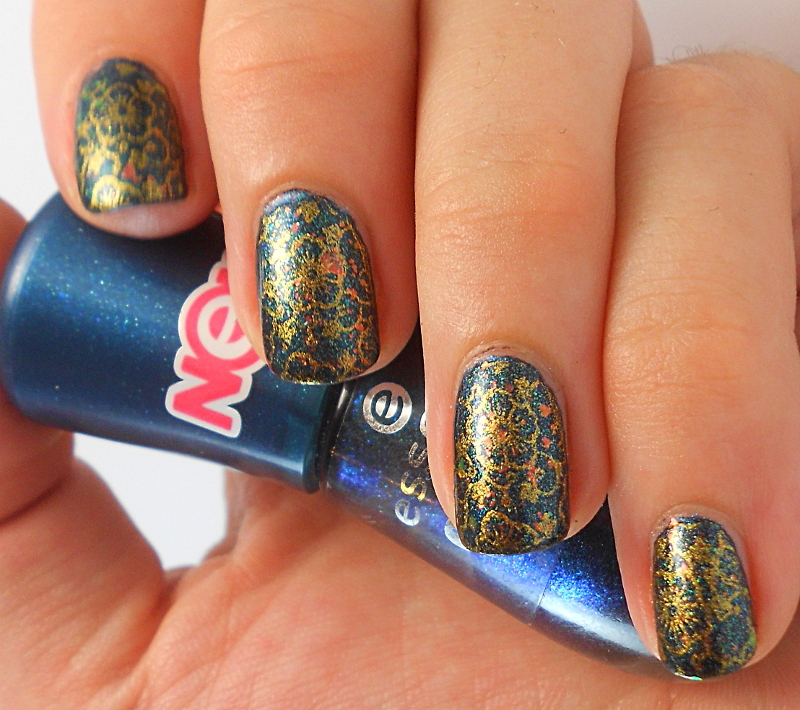 I’ve used this stamping image – as well as the flakie topper – once before, in this post. The moment I saw today’s prompt I knew I’d have to use the same image again because it just made me think of wallpaper. Thanks Julia! Yes you definitely should, they’re fantastic! I want some more!! These are great. 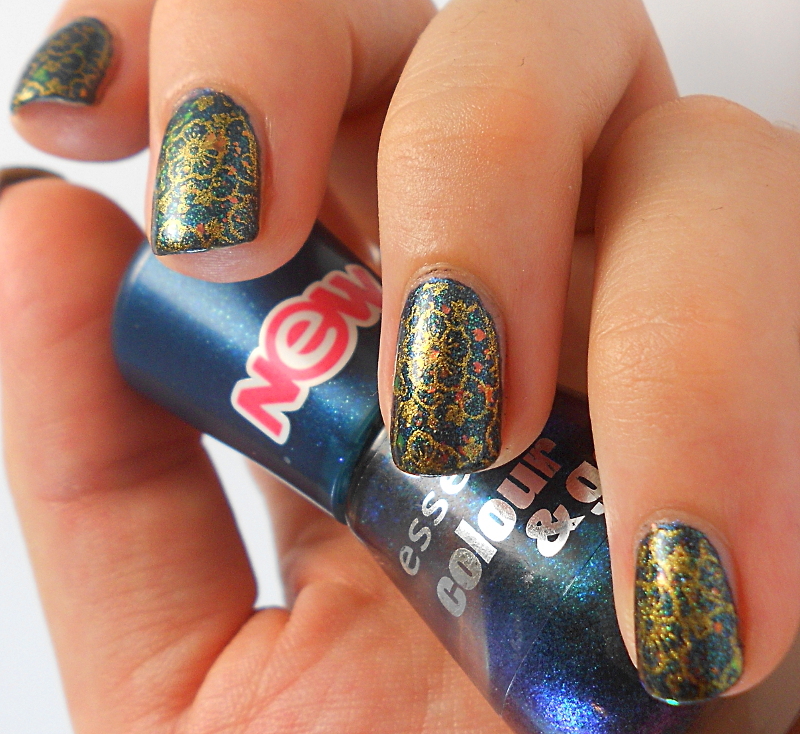 Great combo of colours too.